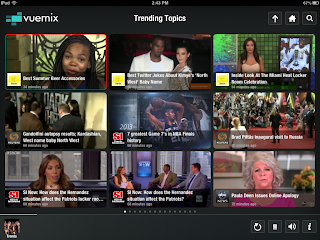 Vuemix is a revolutionary iOS app that changes the way video browsing is done. Vuemix uses 9 screens simultaneously playing videos to engross users in its content. Yes, 9 screens playing at once. When the app prompts users on log in, they are greeted with a myriad of different videos. These videos can all be seen playing at once, with audio coming from the selected tile. This system caters to the fact that users don’t want to be confused by a static thumbnail (as often happens in YouTube video browsing). The technology behind Vuemix is unprecedented. The cloud technology stores all streams of videos uploaded into the app. The videos are then ported into the app as one stream, yet appear to the users in the multi-tile interface that makes Vuemix such an unrivaled app. One of the gigantic benefits, outside of the revolutionary tile technology, is the content sources on Vuemix. The app crawls the web through hundreds of different sources for the most important and relevant video content. This means that the videos on Vuemix are the most up-to-date, broadest, and highest quality that is on the web. But it doesn’t stop there. 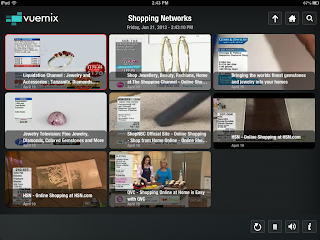 Vuemix provides not just relevant and trending videos; it provides over 30 different categories of videos ranging from shopping, vacation, and fashion, all the way to sports and gaming. This means that whether you want to watch the latest twitch.tv StarCraft match or the fashion industries newest trends, Vuemix is the place to go. One of the newest and greatest features on Vuemix is the live shopping network tile. 8 live shopping networks streamed in real time to your device. Yes, live, on your device, with no signup from a service provider. Can’t get to the TV to watch your favorite HSN slot? Pull up Vuemix on your device and you’re set. The app is the first of its kind to cater to the shopping market with 0 signup overhead. 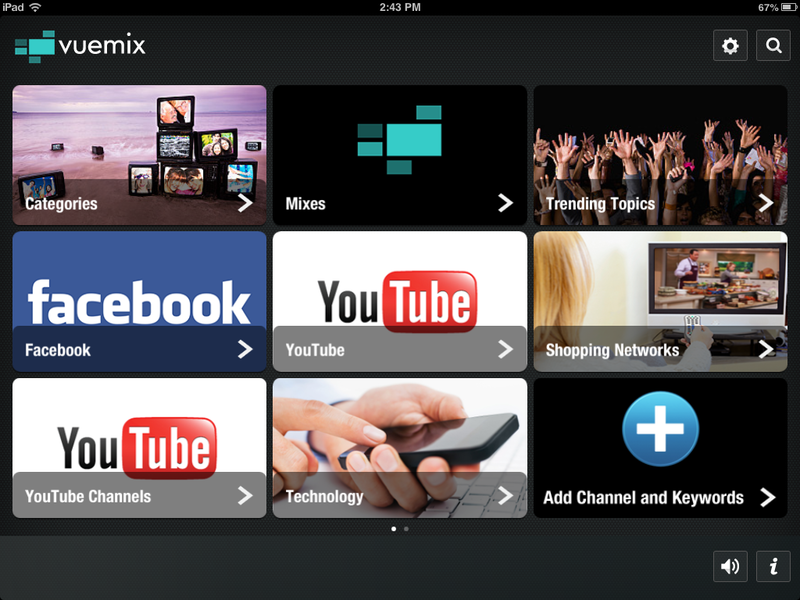 These channels are the first to come to Vuemix and more are expected in the future. Some of the other impressive features include seamlessly integrated video sharing through social networks, the ability to create a ‘mix’ of your favorite videos, and related news articles for every video you watch. If that wasn’t enough, the app allows you to search the Twitter related activates of each video as well, so you can see what others are saying about the said topic. Television is still considered the top-flight medium for consuming video. Vuemix is the first alternative to this on an app level. The integration of live TV into the app is unprecedented. There’s no better way to consume video on a device than Vuemix.